Federal law requires the boat operator to submit a casualty or accident report to the State reporting authority when as a result of an occurence that involves the vessel or its equipment . If the operator is unable to submit the report then the owner must submit the report. Damage to vessels and other property totals $2,000 (lower amounts in some states and territories). 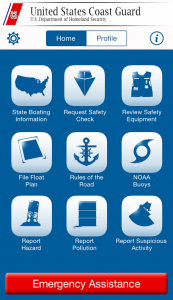 accidents, and measure the effectiveness of boating safety programs. Most states and territories accept this form, although some have their own. If you have an accident, file the form within 48 hours for a fatal accident or within 10 days for a non-fatal reportable accident with your state's primary boating authority. A listing of contacts for the state's primary boating authority may be found at https://www.nasbla.org/about-nasbla/boating-contacts . Reports are generally sent to the Boat Accident Report Database administrator. Please see 33 CFR 173.51, Casualty and Accident Reporting for further information.